On June 13th 2016, the U.S. Supreme Court ruled that federal law preempts Puerto Rico (“PR”) from enacting its own bankruptcy laws. The Puerto Rican government also could not restructure any of its debt under Chapter 9 (bankruptcy code for insolvent local governments) because Congress has specifically excluded the commonwealth. This ruling meant that PR had no system for working out what happens to debt that cannot be repaid. This uncertainty can only be damaging to PR’s citizens and its financial infrastructure. So, in order to save its struggling economy, the Puerto Rican government has taken a business-friendly turn, with an eye on investment. The Territory has experienced a recession for the last 10 years — since Section 936 of the Tax Code was fully repealed in 2006. Section 936 allowed generous tax incentives to U.S. corporations forming subsidiaries in PR. Income generated by these subsidiaries could be paid to U.S. parents as dividends, which were not subject to U.S. corporate income tax and were deductible from PR’s corporate income tax. With the full repeal, foreign investment left the island in droves and, without a strong domestic corporate base, the economy fell into a deep recession. So, is PR still a good place to do business? PR is adamant the answer is yes. Over the last few years, in an attempt to reverse its present course, the PR government has introduced many new tax-related Acts. Of particular substance are Act 20, Act 22 and Act 273 (the Export Services Act, the Individual Investors Act and the International Financial Regulatory Act, respectively). All offer tax incentives (some with corporate tax rates as low as 4%) to attract foreign investment. This seems to be working, as evidenced by Lufthansa Technik breaking ground in 2015 on their new maintenance, repair and overhaul project facility (projected to bring in $2.2 billion over the next 30 years). U.S. legal protections: PR is under the U.S. legal framework. In particular, its banking system is regulated under the FDIC and companies receive U.S. intellectual property protections. Apply for a municipal business license in the municipality in which the entity conducts business. Subscribe to the State Insurance Fund Corporation for workers' compensation insurance. Please note that these requirements are the basic ones. Depending on your entity and the industry, other Internal Revenue licenses, construction and use permits (which, in turn, require a fire department inspection), etc. may be required. Also, every corporation and limited liability company, whether foreign or domestic, must file an annual report on April 15th. Limited liability partnerships (LLPs) must renew their registration with the PR Department of State annually. And, as for PR’s road (or lack of a road) to bankruptcy relief, Congress and the President have approved a restructuring plan (Puerto Rico Oversight, Management, and Economic Stability Act, or PROMESA), which was signed into law by the President on June 30, 2016. 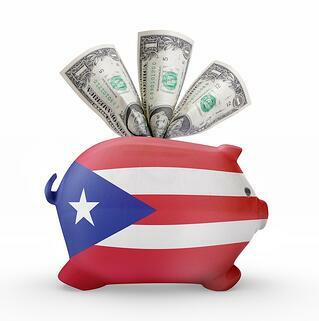 For the price of now having a federal financial oversight board, there is a plan that allows PR to pay back less than it owes. Another positive step forward!